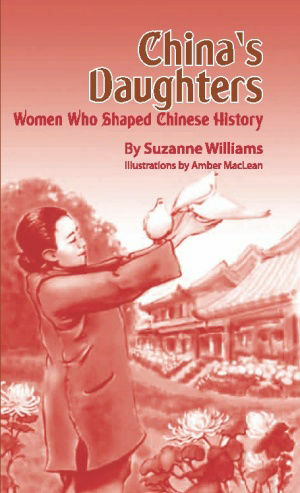 China’s Daughters from Pacific View Press. China’s daughters is a book of biographies of Chinese women from Fu Hao, a Shang Dynasty (1766 – 1045 B.C.E) queen through Kang Keqing, a modern woman who participated in the Long March and went on to become a high official in the Chinese government. The book uses the biographies, not only to present the women’s lives, but to cast them in their times and with major cultural themes. China’s Daughters has been years in the making. This book is the culmination of years of research and editing. The circumstances of Chinese women's lives changed dramatically throughout the centuries. These are extraordinary women - not stereotypical characters.